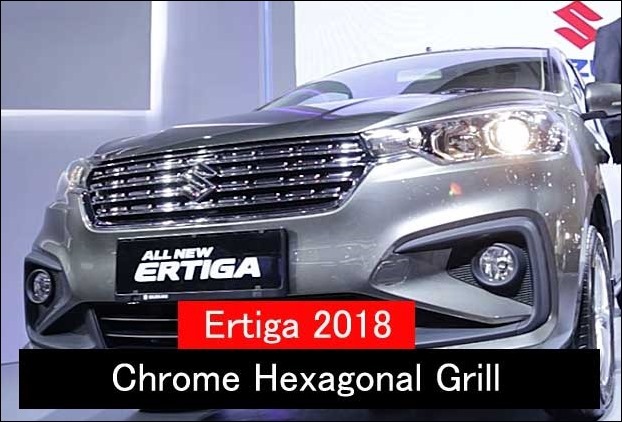 Maruti Suzuki Ertiga might see an Indian launch around August.The new model is expected to receive several new changes in the 2018 edition of MPV. 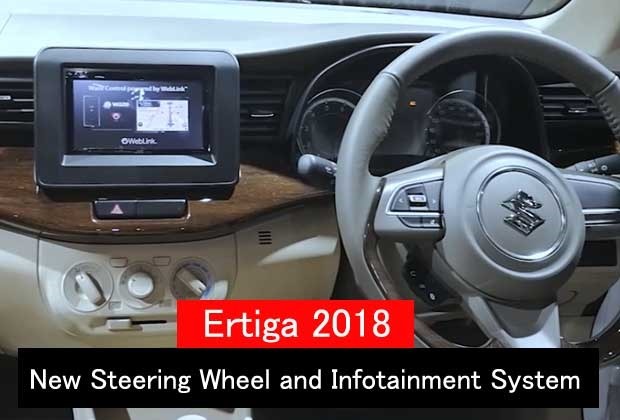 The popular MPV’s new version was recently unveiled at IIMS Motor Show in Indonesia.The upcoming new Ertiga model in India will get an aggressive look with a powerful engine. 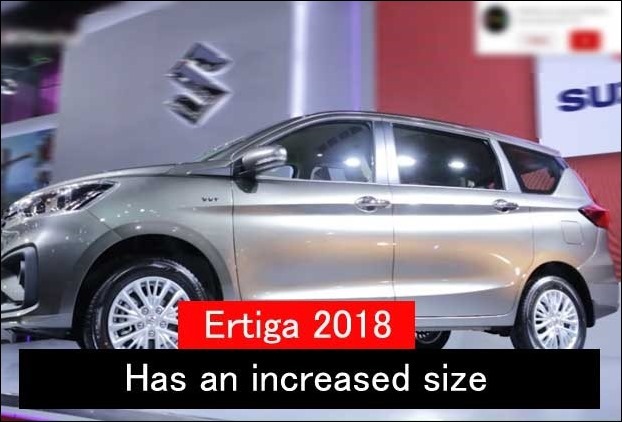 The car with an increased length now looks similar to Toyota Innova Crysta. The mpv car of Maruti Suzuki now gets a more powerful engine.It comes with a 5-speed MT gear box. 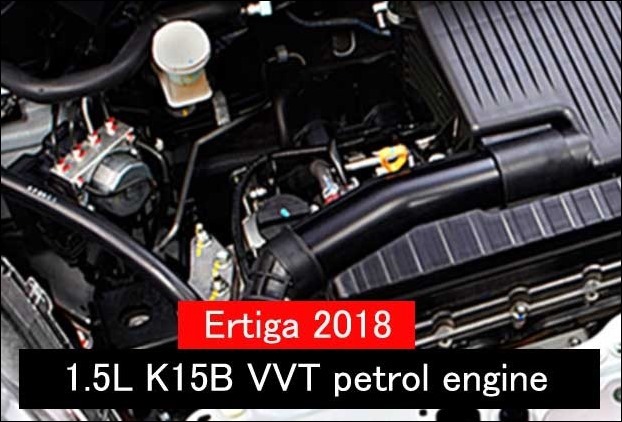 The new car model that has been unveiled in Indonesia uses 1.5L K15B VVT petrol engine. 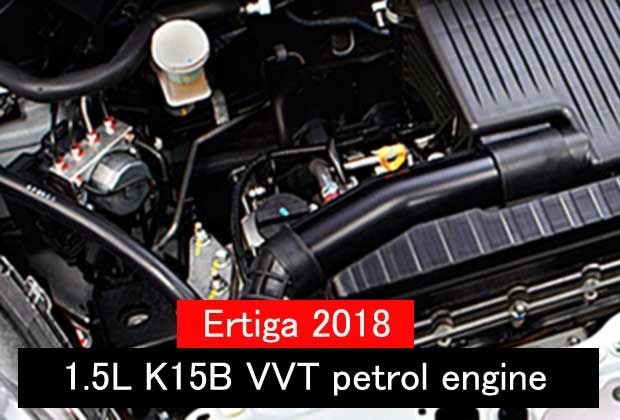 This engine produces 104HP power and 138NM torque.Just to remind you on engine , the existing Indian ertiga models in India use a 1.4L engine and this upcoming engine is more powerful.The bonnet with a curve now looks more powerful. 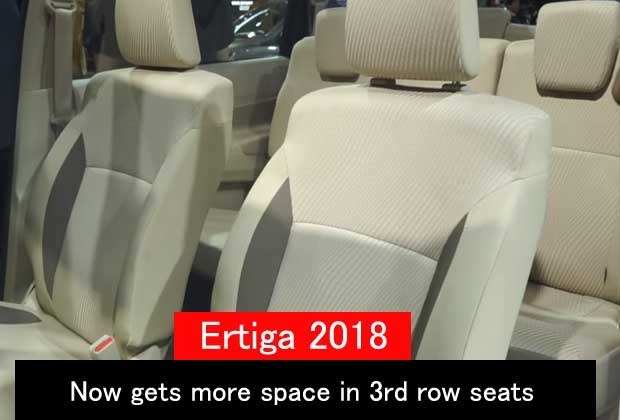 The new Ertiga will have an increased size unlike the previous Ertiga.It will be 90mm in length , 40mm wide and 5mm in height. The new Ertiga MPV has 2740mm of wheel base. 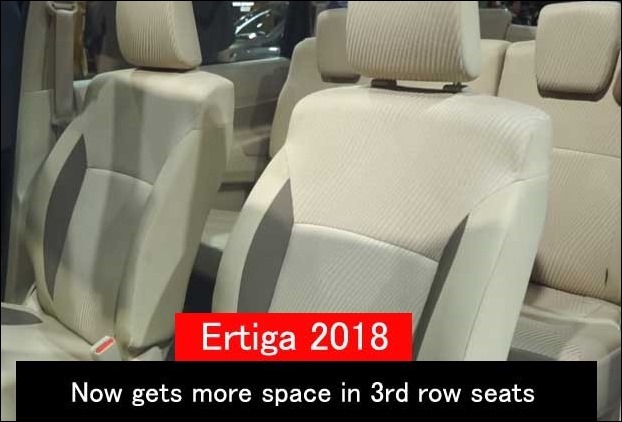 It is said that 2018 Ertiga model in IndiaErtiga 2018 vs Old model will be more spacious.Its 3rd row seating will be more spacious.The upcoming Ertiga perhaps uses the same base model as of Innova. The car interior has also changed.The dashboard has been given start-stop button and keyless entry. It is now using a new 6.8 inch infotainment screen with a new dash board as opposite to old Ertiga. The car accompanies a flat bottom steering wheel. Like its other recent offering – Swift , Swift Dzire , Baleno and Ignis , the Maruti Ertiga’s new model 2018 will also use HEARTECT platform of Suzuki. 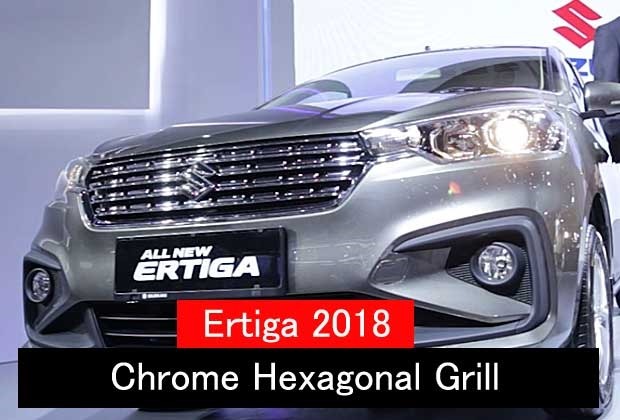 As opposite to old Ertiga , this one’s hexagonal grill has got a newly changed chrome look. The car has received angular headlamps with projector lens. The bumper has been given C-shaped fog lamps.The rear side has received L shaped LED tail lights. 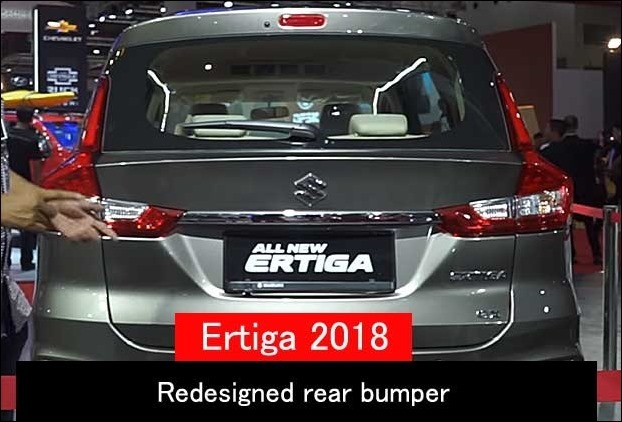 The rear bumper of new Ertiga has also been re-designed as compared to the earlier one. The license plates of MPV uses chrome.